… Taking Place March 28 to March 31 During New Directors/New Films. 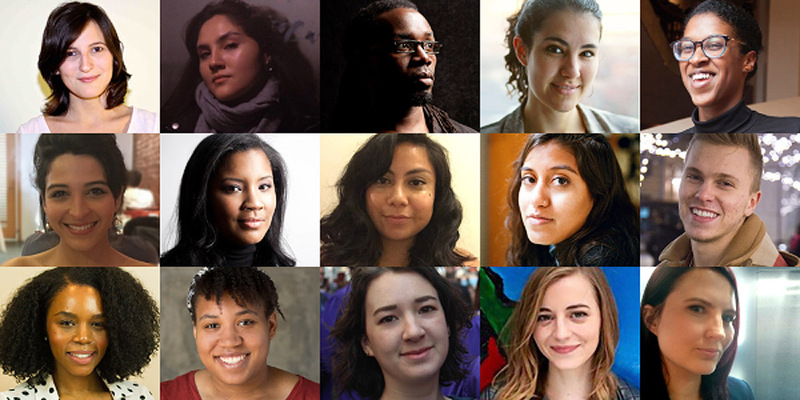 “Thirteen of this year’s Academy participants are women and most are people of color, so I am hopeful that the dialogue among emerging members of the film community will have a lasting impact on the industry,” said Film Society of Lincoln Center Deputy Director Eugene Hernandez. The Locarno Industry Academy is a training program with strong European and International dimensions, created to help young professionals extend their network in the field of international sales, marketing, distribution (including the new platforms), exhibition and programming (festival, cineclub and cinematheque). The Film Society of Lincoln Center is one of its international partners. “We’re excited by the ever-growing interest in our annual Industry Academy – nominations increased dramatically this year, and we had such an impressive roster of applicants that we expanded the number of participants to fifteen,” said Hernandez. “We’ve also seen dramatic developments in our industry over the past six months; in response, this year’s Academy will start with a two-part panel exploring the #MeToo movement and creating a safe and inclusive film community. Fifteen participants (pictures above) were selected after being nominated by key industry leaders and veterans. The four-day program features a slate of screenings and panel discussions exploring the fields of International Sales, Marketing, Distribution (online and traditional), Exhibition, and Programming. Sessions include workshops on programming with:Opal H. Bennett (DOC NYC & Montclair Film Festival), Gina Duncan (BAM), Dennis Lim (FSLC), Aliza Ma (Metrograph), and Rajendra Roy (MoMA); marketing with Tom Cunha (Brigade Marketing), Sara Kiener (Cinereach), and Nicholas Kemp (Kino Lorber); sales, distribution, and acquisitions with Dori Begley (Magnolia Pictures), Arianna Bocco (IFC Films), Jason Ishikawa (Cinetic Media), Wendy Lidell (Kino Lorber), Bernadette McCabe (MoviePass), and Michael Tuckman (mTuckman Media); publicity, editorial, and criticism with Thelma Adams (Variety), Eric Kohn (IndieWire), Michael Koresky (FSLC), Mekado Murphy (The New York Times), Lisa Thomas (FSLC), and Ryan Werner (Cinetic Media); exhibition with Christine Kim (YouTube) and Tom Prassis (Sony Pictures Classics); filmmaking with Sadaf Foroughi (Ava) and Ana Urushadze (Scary Mother); and sustaining a career in the film industry with Michelle Byrd (Producers Guild), Lisa Cortes (producer & FSLC Board), Patrick Harrison (AMPAS & FSLC Board), and Molly Thompson (A&E Indie Films). The keynote panel will be a conversation between Maya Arulpragasam (M.I.A.) and Farihah Zaman (filmmaker, Field of Vision) about New Directors/New Films opening night selection Matangi/Maya/M.I.A. Additionally this year, the Industry Academy will hold a two-part panel on the #MeToo movement, continuing the conversation about sexual harassment and abuse in the film industry. Part one – #MeToo & Creating a Safe and Inclusive Film Community – will be a conversation with industry executives Ira Deutchman (Producer & Columbia University Professor), James Schamus (Symbolic Exchange), Liz Manne (Principal, Liz Manne Strategy), Laura Michalchyshyn (producer), and media executive Lauren Zalaznick, moderated by Anne Hubbell (producer). The second part will delve into the movement from the perspective of creatives, including Christine Vachon (Killer Films), Amber Tamblyn (actor, filmmaker, author, founding member of Time’s Up), Shari Springer Berman (filmmaker) and Leslie Silva (actor, Time’s Up activist), moderated by Lesli Klainberg (FSLC). A result of a long-standing relationship between the Film Society and Locarno Festival, the Industry Academy signifies the ongoing dedication these two organizations have to engaging a new generation of key players in the independent film industry, helping them attain a better understanding of the industry’s challenges while also extending their network of contacts and building bridges across different markets. The program continues to focus on increasing diversity within the film industry and film culture – one of the greatest challenges facing the film business today – and supporting and nurturing women and people of color who are looking to gain a foothold in the industry. The program is produced by the Film Society’s Brian Brooks with the Locarno Industry Academy international project manager Marion Klotz. The Film Society of Lincoln Center is committed to fostering the next generation of filmmakers, critics, and industry professionals. With academies throughout the year, FSLC builds new audiences and continues to advance New York’s vibrant film culture. For more information on these initiatives, visit filmlinc.org/filmmaker-initiatives. Jaad Asante is a lover of all things nonfiction. After earning her Masters from Temple University’s Film and Media Arts program, she taught documentary history and analysis before joining Doc Society’s New York team as the Project Coordinator for the Good Pitch Local Program. This role allows her to engage with powerful short-form documentary projects all over the country. With a fascination for the evolution of documentary form and structure, she served as a screener for this year’s True/False Film Festival and has aspirations to further explore the programming landscape. Sarah moved from Los Angeles to New York to attend NYU’s Tisch School of the Arts, where she received a B.F.A. in film production. After graduating, she joined AMC TV, working in production. She shifted to the programming and scheduling department, where she also got to join the Sundance TV team and be a part of the network’s expansion. However, she wanted to pursue her passion for film and in 2017 joined IFC Films as the Senior Assistant to co-presidents Jonathan Sehring and Lisa Schwartz. Outside the office Sarah produces short films that have screened in festivals around the world. Raised in a small town in Colorado, Sarah has always loved movies. Pursuing that love, she received a B.F.A. from Chapman University in Creative Producing before going on to receive her M.A. from NYU in Media, Culture, and Communication Studies. Her first official industry job was with Tribeca Shortlist, where she worked in creative programming and acquisitions. Recently, she started a new role in digital distribution with Giant Interactive, encompassing a variety of responsibilities including acquisitions, content management, business development, and digital marketing. Above all, she believes in the power of film to change people’s perceptions of the world. Natalie Erazo is the Department Assistant at BAMcinématek, a position she has maintained since November 2016. Previously, she freelanced as a production assistant and coordinator on films, including Gillian Robespierre’s Landline and Peter Brunner’s To the Night. As a budding programmer, Natalie worked at the Fusion Film Festival while studying film at NYU’s Tisch School of the Arts (B.F.A.). Recently, she started a community organization called The Repertory Project, dedicated to bringing repertory cinema to underserved youth communities through informal educational spaces. Silje Grüner holds B.A. degrees in Sociology, Communication and International Studies from California Lutheran University and is a graduate of the 2016 and 2017 EAVE Marketing Workshop. She has worked in the Development & Production Department as well as the Promotion Department at the Norwegian Film Institute. In 2016, Silje began as a Marketing Representative at Europafilm AS and is now the Head of Marketing in the company. At Europafilm her newest titles include period drama Summer Children (Tallinn Black Nights Festival), social drama Burnout (Dubai International Film Festival), and an animation feature based on true events called The Tower. Lauren Jane Holland is an experienced administrator, having served in a range of posts in the private, nonprofit, and government sectors, including as executive assistant to Congresswoman Maxine Waters. Concurrently, Lauren has sustained a commitment to arts administration through her contributions to arts festivals in Philadelphia, including BlackStar Film Festival, where she has leveraged relationships into dynamic partnerships with corporate sponsors and media since the festival’s inception. Lauren has a passion for bringing independent voices to a broader audience. Curtis Caesar John is an arts manager, media producer, and culture critic. He is the founder/executive director of The Luminal Theater, which provides exhibition services featuring the work of independent filmmakers of the African diaspora, primarily for Bedford-Stuyvesant and Central Brooklyn audiences. Curtis is also the producer of the ongoing Caribbean Film Series, which takes place at BAMcinématek, and also serves at BAMcinématek as a Programmer-at-Large. He broke into the programming world as a co-founder and eventual festival director for the New Voices in Black Cinema Festival. Jameson Oyer is the Digital and Video Direct Marketing Manager of Kino Lorber as well as the Brand Manager for Kino Lorber’s Spanish-speaking label Sol y Luna. A graduate of New York University, she has had the pleasure of working on films such as A Girl Walks Home Alone at Night, Oldboy, and the documentary Lucha Mexico. Nicholas Romano is originally from Queens, New York City, and began his career as a Development Intern for Beverly Hills–based Endgame Entertainment, while studying Creative Producing at Chapman University. After deciding to switch tracks, he transferred back home to Brooklyn College, where he now studies screenwriting. Since then, he has landed internships with Andrew Lauren Productions, Sony Pictures Entertainment, Scott Rudin Productions, Bleecker Street Media and The Weinstein Company. Currently, he is interning for A24, working closely with the Acquisitions department. His goal is to focus on production & acquisitions for a distributor or literary representation for an agency. Saidah Russell graduated from NYU with a degree in Media, Culture, and Communications. She worked as a Project Coordinator for the production company Rada Film Group and assisted with marketing the documentary American Promise. She has worked for multiple festivals—in operations and as a screener—which led her to experience the heartbreak of falling in love with a film only to have it disappear after closing night. She landed in exhibitions out of a desire to champion stories that are often overlooked and unsupported. She currently works at the Jacob Burns Film Center and co-programs a series showcasing the diversity of the black experience on film. Maria is a fierce social justice warrior; she currently works at Cinereach as the Advisory Council Coordinator. She is a Peruvian immigrant, raised in NYC, and currently setting her sights on L.A. As a latchkey kid, television and films were her escape into the diverse beauty of the world. She began her film career on a few seasons of the television show Girls. After such a rewarding experience, she realized that she can actually put her activism into effect through producing and supporting independent film. So now you can find her at Cinereach and other film events around New York. Chelsea graduated from the University of Wisconsin-Madison with bachelor degrees in Film and Economics. During her time there, she served as head of publicity and programming at the on-campus movie theater, focusing primarily on foreign and independent cinema. Upon graduating in 2016, she moved to New York City and briefly interned at Kino Lorber and Magnolia Pictures before accepting a position at NEON as the Theatrical Distribution Coordinator. She currently resides in Chelsea and tries to make the most of all the amazing film programming, both first-run and repertory, that NYC provides. Born in Brazil, Ana Souza was partially raised in Amsterdam. She holds a B.A. from the University of Warwick and an M.A. from the University of Southern California. She is an Associate Programmer for AFI FEST and the L.A. Film Festival. Her work has ranged from programming to hospitality and event production, in festivals including Sundance, Outfest, AFI FEST, the Indian Film Festival of Los Angeles, Ambulante California, and NALIP’s Latino Media Fest, among others. In 2016 she was selected as a programming fellow for Film Independent’s Project Involve. She is currently working at Sundance in the programming department. Born and raised in New York, Dalia grew up appreciating the level of art and culture that a metropolitan area makes accessible. She was raised by museums and Friday night MoMA trips, a custom she maintains by frequenting the many art exhibits and public installations the city offers. Most appreciated are works of the auteur; she often revisits the complete works of Hitchcock, Godard, and Truffaut. All-time favorite directors include David Lynch, Stanley Kubrick, Jim Jarmusch, and the Coen Brothers. Since graduating with a B.A. in Film Theory from Bard, Dalia has been working in film distribution, designing and executing marketing and distribution campaigns for environmental documentaries. Patrice Worthy is the managing director of BlackStar Film Festival, a festival that has developed notoriety around the industry as a nexus for independent filmmakers and artists of color. She has worked with the festival for six years, first as a program manager, then working several years as senior operations manager until 2017. Outside of BlackStar, Patrice is also an educator and producer who works with emerging creatives of color. After working with the festival and noting the challenges of promoting independent media, Patrice is now focused on facilitating marketing and exposure of the works presented annually at the festival. Film Society of LIncoln Center. Devoted to supporting the art and elevating the craft of cinema. The only branch of the world-renowned arts complex Lincoln Center to shine a light on the everlasting yet evolving importance of the moving image, this nonprofit organization was founded in 1969 to celebrate American and international film. Via year-round programming and discussions; its annual New York Film Festival; and its publications, including Film Comment, the U.S.’s premier magazine about films and film culture, the Film Society endeavors to make the discussion and appreciation of cinema accessible to a broader audience, as well as to ensure that it will remain an essential art form for years to come. The Film Society receives generous, year-round support from Shutterstock, the National Endowment for the Arts, and the New York State Council on the Arts with the support of Governor Andrew M. Cuomo and the New York State Legislature. American Airlines is the Official Airline of the Film Society of Lincoln Center. For more information, visit filmlinc.org and follow @filmlinc on Twitter. Copyright © 2019 the WORD. All Rights Reserved. The Magazine Basic Theme by bavotasan.com.